Bothered about employees spending too much of their time on one project? Companies use Time Tracking software to build reports of employees working on desired tasks and generate reports based on it. A time tracking software is necessary for employers that work with remote employees or freelancers. Professionals also use this software to bill their customers for the amount hours they work for them. Time Tracking Software has a long list of features for employers and professionals. It includes integrated time tracking, integrated task timers, weekly timesheets showing the reports, visual reports, workday timeline, creates an unlimited number of projects, flexible reports and the best of all is it can fit any number of the team structure. The easy to use Employee Time Tracking software, lets employers and managers record worked hours for billing purposes. Are you thinking of having this software? You can find several free and paid Time and Attendance software that would work for you. But do you know which one to buy and integrate into your business or organization? 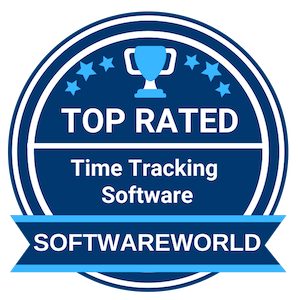 SoftwareWorld has a list of top-rated and best Time Tracking software to help you out. What are the Best Time Tracking Software in 2019? About FreshBooks : Freshbooks, small businesses accounting and invoicing software offers time-tracking features where the user can easily increase their productivity. Every second matter and you can easily track how much time you have spent on clients and projects; after completing work you can easily generate an invoice through this software. The user can comfortably focus on their work and easily track their team timing from anywhere. Manage specific project and record time through Freshbooks. About Wrike : Control over your tasks with Wrike; it’s online project management software that provides the ability to the user to manage projects with project management features like time tracking feature, project planning feature, project organization feature, an interactive timeline, online collaboration features, communication features and much more. The user can also find the employee database and mobile time tracking options with Wrike. It’s even useful for employee vacation/leave tracking. About Hubstaff : Increase team productivity with Hubstaff; a time tracking software offers effective features to improve business productivity where the user can find team management, project management, and time management features. It’s easy to use and effective tool to track work hours, payment to team members, client invoicing, in-depth reporting; all things are possible through Hubstaff dashboard. The software is available for desktop and mobile devices. About Calamari : Discover the easiest HR process with Calamari; it helps the HR department to manage business employees. The user can easily manage employees’ leaves and track their attendance through this software. You can find two modules of Calamari, first is “Clock In / Clock Out” and second is “Leave Management.” This is a cloud-based multilingual time tracking software. The user can also manage and track their employees from anywhere. About Time Doctor : Recognize the superstar members through Time Doctor; it’s time tracking software for remote teams. Time doctor offers different features to track your remote employees where you can find time tracking, automated screenshots, chat monitoring feature, project tracking, detailed reporting feature and much more. It’s also easiest option to process payroll and create automatic billing. You can also integrate with all leading project management tools and can access all devices. “TimeDoctor is straightforward and easy to use. I am able to maintain transparency with my clients at all times. TimeDoctor helps me track my hours and provide documented proof of work and give my clients a better view of how I complete my work/tasks.” – Dianne Mae P.
About WebHR : Manage your HR department with WebHR; it’s a Cloud-based Social HR Software popular among 197 countries. This software is multilingual software available in 30 languages. You can find many key features in WebHR like employees self-service, dynamic dashboard feature, time and attendance tracking feature, leave management, real-time chat feature, calendar feature, extensive reporting feature and much more. It’s easy to integrate with other software and platforms. “This is one of the best applications that I have used, implemented or purchased in the past 9 years of my professional career. The company have been taking every feedback seriously and continues to deliver all the possible features at a very fast pace without taking much time.” – Mohammed K.
About Ximble : Catering to small and medium sized business, Ximble takes the guesswork out of staff time management. Scheduling takes seconds, and employees can easily swap shifts or request time off, on any device. Ximble offers multiple methods by which employees can clock in, from desktop and mobile device, to facial recognition and even Facebook. Integrating with many leading accounting, payroll, POS, and HR systems, Ximble offers low pricing and high levels of customer service. About Accelo : Just built for your service business; Accelo is the operations automation system manages all client work in one place. Accelo is cloud-based software helps user for project planning, project tracking and provides the key platform for collaboration. The user can comfortably assign the work to the team, track progress, see budgets, and profitability in real-time. It’s accessible through any device from anywhere. About Jibble : Cloud-based time & attendance tracking software for payroll; Jibble will help the user to reduce the error and increase work productivity. The user can easily track reports and monitor teams’ productivity through this software. It’s accessible in all devices. It covers all the industry like digital agencies, construction, education, retail outlets, legal, hospitality, field services, entertainment, and much more industries. It’s easy to use software comes with the clean and improved interface. About Livetecs : Manage Time, Expense and Billing with Livetecs. Its time tracking software offers expense tracking, time & expense billing and time off / leaves management solutions. It’s accessible through the mobile application. It’s an easy platform for the project managers to manage the projects effectively. The user can easily increase the business project strategies if he/she belongs to the software development industry. “I am impresses with the improvement in the support portal of liveTecs. I have been using TimeLive for the past five years and can totally appreciate the improvements and options to the customers related to the support. Keep up the good work” – Ravi K.
About Clockify : Clockify is a free time tracker and timesheet app for teams and freelancers. It lets you track your productivity, attendance, billable hours, and payroll across devices, as well as export your time tracking data as Summary, Detailed, or Weekly Reports. To add extra functionality to Clockify, you can subscribe to a monthly plan and get extra features that will further improve your time management and boost your productivity. About Elorus : Elorus, online invoicing and billing software; this software offers online time-tracking features along with billing and invoicing solutions. It’s usually useful for freelancers and SMBs. The user can easily monitor their business performance and increase collaboration through Elorus; the user can also share their timesheets with the clients. It’s accessible through all devices and you can get 24*7 support services. It’s also easy to integrate with third-party platforms. 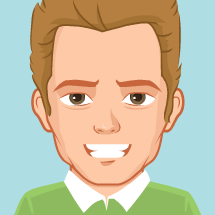 “Elorus gives me all the tools to make invoicing as easy as possible. It has a dedicated team that provides excellent support and they keep working to give more features. The new time management module looks promising. Quick and easy invoicing that looks very professional.” – Alexios G.